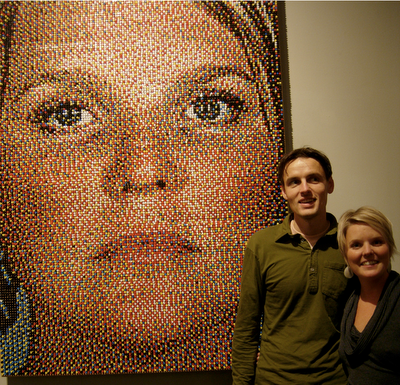 Born in California and now residing in Northern Michigan, 33 year old husband, father and artist Eric Daigh creates portraits by putting ordinary pushpins in posterboard. 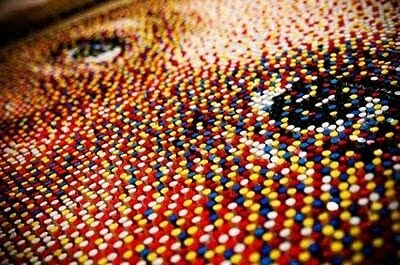 Daigh uses blue, red, white, yellow and black push pins (he sprays green pushpins black since there are no black pushpins) to create his masterpieces. 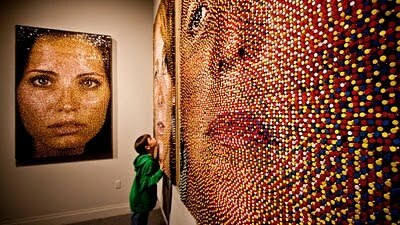 Each portrait requires about 11,000 pushpins which Daigh applies by one at a time.